Being with my family on Valentines Day is the sweetest day ever. The celebration is simple yet so sweet! We had scrumptious dinner and chocolate cake for dessert (my family's favorite) Aside from the sweetest Valentines Day experience, I also get a chance to open my awesome Daily Goodie Box that was sent to me for free courtesy from DailyGoodieBox. Oh, Yes! another wonderful Daily Goodie Box that I cannot wait to share with you. Keep that excitement coming because I'm doing the sweetest Daily Goodie Box unboxing for the month of February (wohooo!!) As you may remembered my last blog posts of Daily Goodie Box unboxing click HERE and HERE. If you love receiving free samples and love to share your opinion about the products that you tried. Then, this blog post is right for you. The Daily Goodie Box is new FREE sample box service. 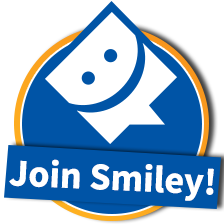 It's totally FREE to join. Sign Up for FREE, you then fill out your profile so that they can match you with a perfect Daily Goodie Box that caters your personal style. Isn't it wonderful? New boxes pop-up everyday and they offer both full-size and sample size products. Once the Daily Goodie Box send you a box for free. All you have to do is to try the products and share your thoughts by leaving review on their site or blog about it. It's super easy! 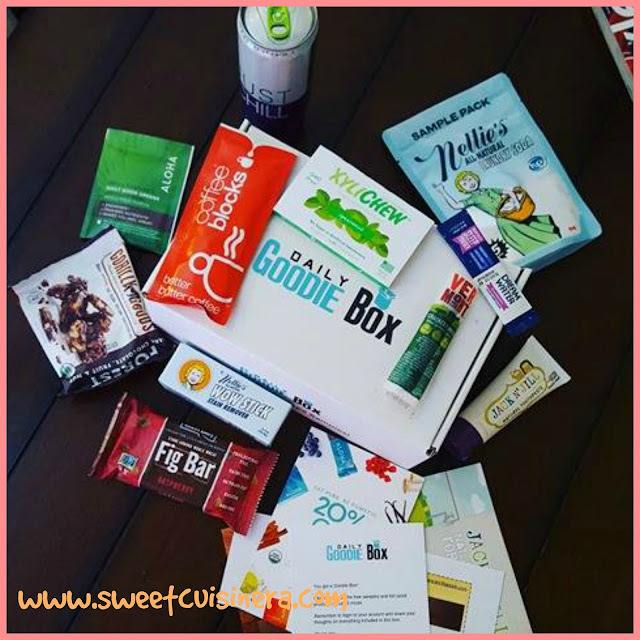 Click HERE to learn more about Daily Goodie Box. When I talked about coffee, I get so excited and have a big smile on my face. So, trying this Coffee Blocks- Butter Coffee makes me super happy and excited! The aroma smells amazing which I really love. It taste delicious, smooth, creamy, and butterlicious coffee. It's super easy to make. 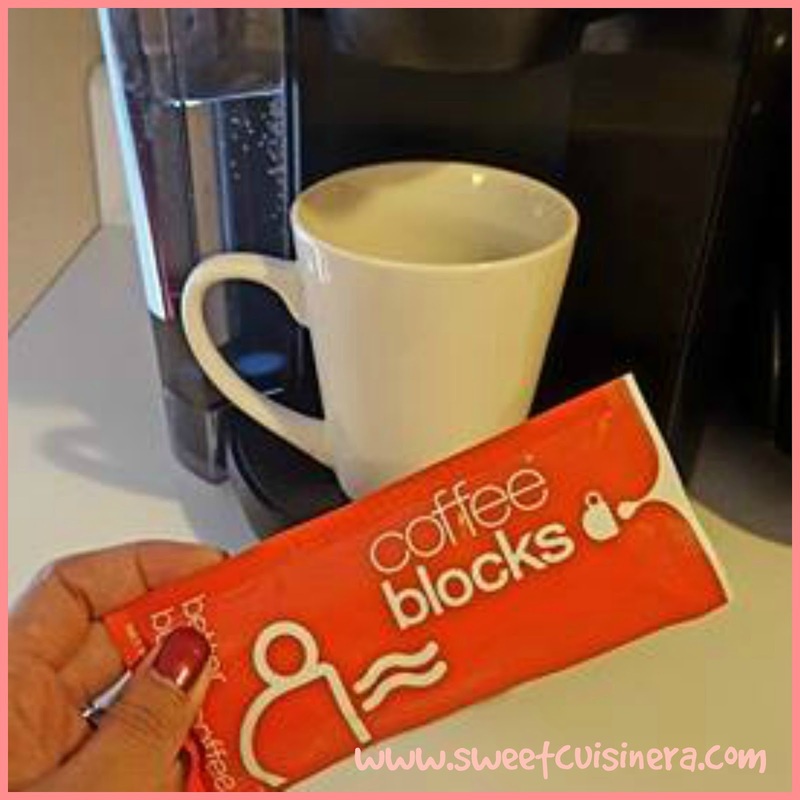 Just squeeze the Coffee Blocks into a cup. Add 12 oz water ( 8oz hot plus 4 oz room temp) Mix and enjoy! it that simple and its SO good. I am now calling my family and friends who love coffee as much as I do. This product is a MUST try. Delicious! Next on the list is this delicious calming drink JustChill - Stress Relief Drinks. This is my first time trying out this product and I'm SOLD! I tried the Rio Berry flavor and its incredibly delicious sparkling calming beverages. 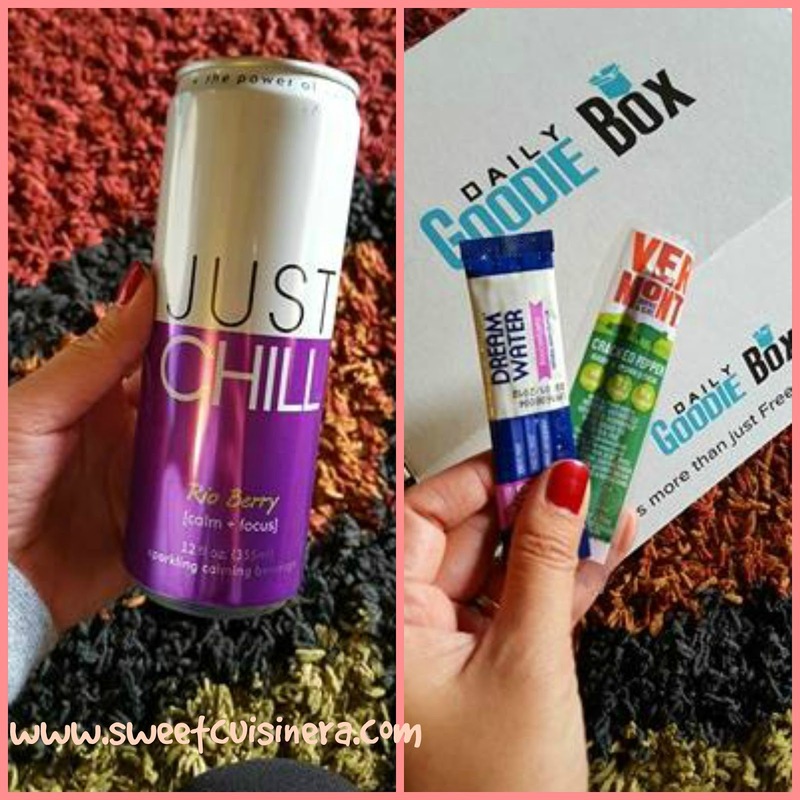 Just Chill is a calming drink designed to support your lifestyle of staying calm and confidence. This drink is indeed delicious and has great benefits. Love it! The next product is this Vermont Smoke & Cure - Cracked Pepper Beef & Pork Sticks Oh, YES! its perfect meaty snack for the whole family. I love the flavor combination of Pepper Beef and Pork. Even my kids love it. It's so delicious and I highly recommended for sure. Excitement overload! 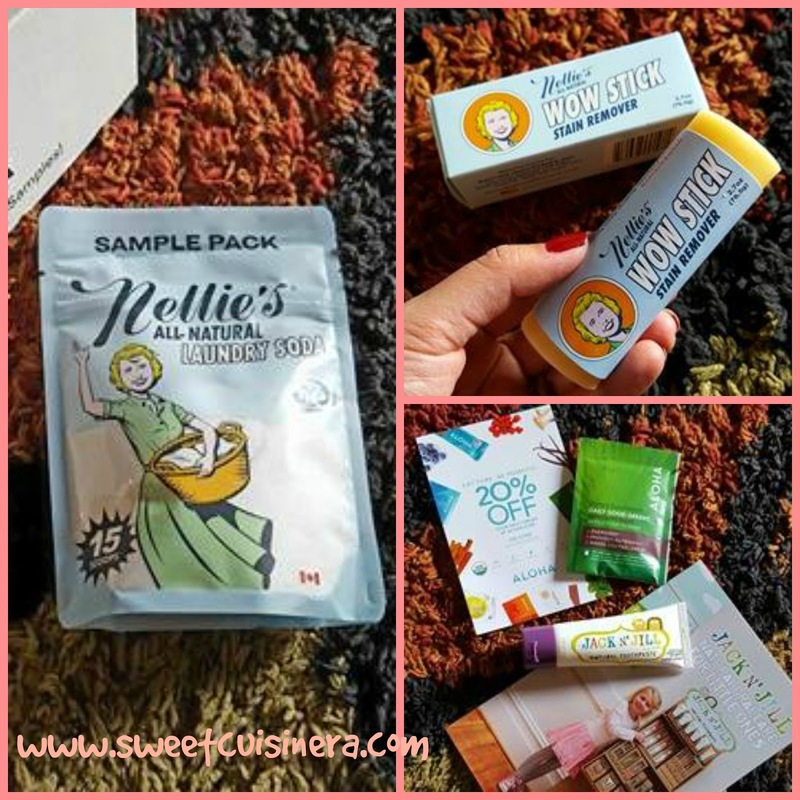 Introducing this Nellie's All-Natural - Laundry Soda Packs and Nellie's WOW Stick Stain remover First, I'd like to talk about about the Laundry Soda Packs. Its highly concentrated formula will leave your clothes soft and fresh, rinsing residue free. Also, I noticed that there's little scoop inside the product which makes it so much easier and convenient for me. Next is Nellie's WOW Stick Stain Remover. This product is amazing and so perfect for me. It has a perfect scent combination of lemongrass and orange oil which I really liked. Just rub gently onto the stain, agitate the stain under water and wash with Nellie's All-Natural- Laundry Soda Packs. This product is highly recommended. Next product on my February Daily Goodie Box is my kids new favorite toothpaste. Introducing to you Jack N' Jill Natural Toothpaste super kids friendly toothpaste and it smells so fresh. My kids LOVE this toothpaste! Its certified organic, safe to swallow, made of all natural ingredients, no fluoride, no preservatives, and no added color. One of the BEST toothpaste that my kids tried and loved. My new favorite is next on the line. This Aloha- Daily Good Greens is so good and so versatile. I love to use this product on pretty much everything. A little sprinkles on yogurt, oatmeal, and drinks. Its perfect way to get dietary supplement without sacrificing the taste. Its a chocolate Blend Whole-Food Powder that energizes, provides nutrients, and makes you feel GREAT! Love this product. 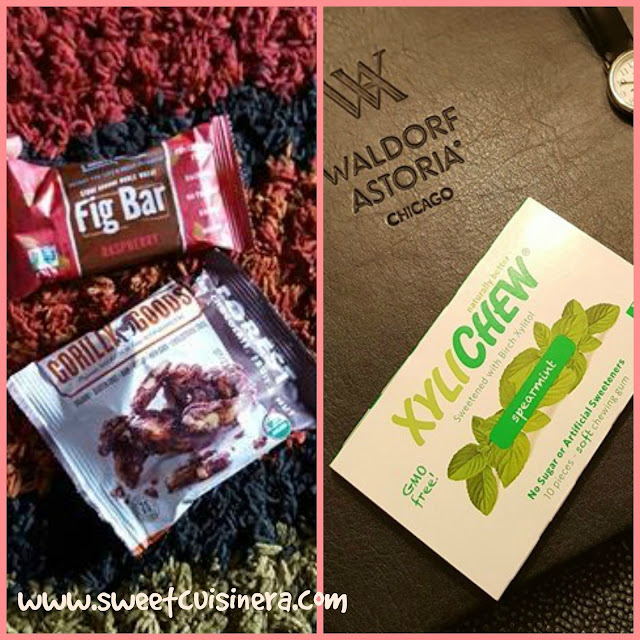 You probably saw my last week Instagram post of XyliChew- Spearmint from my Chicago trip. I'm so in-love with XyliChew its so refreshing gum and great for everyday use and for travel. One of the BEST gum I had for long time. I highly recommend this product. Aside from its Non- GMO Project verified, cholesterol free, dairy free, kosher and no transfat. It taste absolutely delicious! One of my favorite snack for sure! Another delicious sweet treat from Daily Goodie Box is this Gorilly Goods- Organic Snacks I tried the FOREST (chocolate) - Dark Choclate, Fruit and Nuts the combination of bitter sweet chocolate, raw nuts and fruits is so hard to resist. It that good! A MUST try product and so addicting. Definitely one of my new favorite snack. Yum!